In the Twin Cities area, it’s required for you to have insurance coverage on your vehicle. There are so many reasons that having insurance is beneficial, but the primary reason that we all see benefit from it is coverage that we get in the case of an accident. If you’re in a car accident and you are injured, you have the opportunity to present a claim to the opposing driver’s insurance company. It could be anything from negligence to unsuitable driving conditions, and everything in between, but if you are injured in a car accident you have the right to present a personal injury case to the courts. The challenging part of this process, however, is that when it comes to reaching out to the other driver’s insurance company, you have to be able to present a case that shows the other driver is at fault. The process of proving this is a long and challenging road. It requires collecting records and evidence and ultimately building a sound case that you can present. The downside is that even after all of this work, their insurance provider still has the ability to say that they were not at fault and leave you without any compensation. Because of how frustrating and unjust this can be, most states have implemented an insurance option known as “No-Fault Insurance” that helps protect individuals that find themselves in these situations. Given that it isn’t something everyone is familiar with or has even heard of, we want to dive into it and figure out what your rights in this instance. 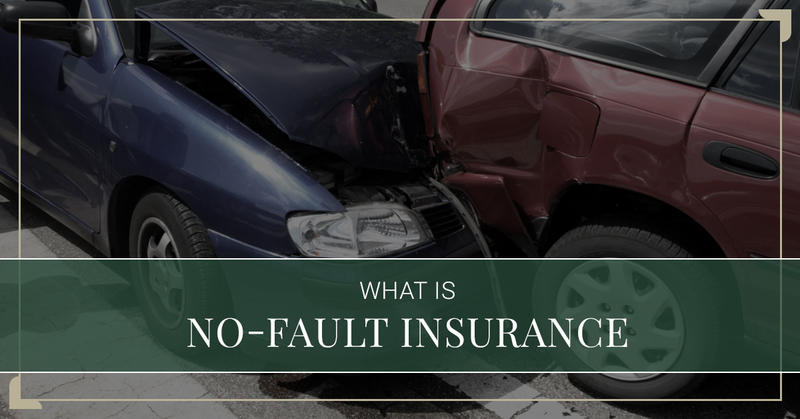 What is no-fault insurance? Who could benefit from this type of coverage? You’ll find all of that out, and more, in today’s blog post. As we mentioned above, the process of submitting a claim for an accident in states that don’t have no-fault insurance can be very complicated and incredibly frustrating. The point of no-fault insurance is to provide a straightforward and streamlined process that prioritizes the needs of those that end up injured in an accident. With this type of insurance, you are able to submit your claim to your own insurance company — that means no challenging cases trying to prove that someone else was at fault. At that point, your insurance company then takes care of you. From your hospital bills to any serious damages that you need to account for, your insurance company will provide the care that you need regardless of who was at fault in the accident. The downside to this type of insurance coverage is that there is only a certain amount of coverage that you’re guaranteed to get. For example, when you submit a claim to the other driver’s insurance there is a chance that you can get a settlement that covers your pain and suffering, small damages, and compensation from lost time at work. This is a little bit different when it comes to no-fault coverage. You will still receive compensation from damage done to covered vehicles, but you won’t receive any compensation for pain and suffrage or any small damages. The compensation that you receive for lost income will vary depending on your coverage as well. So what is the overall reason that this type of insurance coverage was created? To be frank, it was all designed so that the costs and process of claims and cases are reduced. Think about a personal injury case that leaves you with hospital bills. With your standard insurance coverage, there’s a chance that you will get the compensation needed but who knows at what point in time. By having this coverage, you know exactly when you’re going to be getting your compensation and for what. No-fault insurance is a great form of coverage that keeps individuals’ covered without having to fight another driver’s insurance company. If you don’t like the headache that most insurance claims come, then no-fault insurance very well may be something that you should take into consideration. You do need to keep in mind though the differences of the compensation that you could receive in the case of an accident. Reach Out to Woods & Thompson P.A. No-fault insurance is complicated, but can drastically change the way that your personal injury case goes. Given that these situations change on a case to case basis, it’s time that you consult a professional to help with your personal injury case and any claims that may come with it. Woods & Thompson P.A. can help. Our team has years of experience in the industry and would be happy to provide you with a full consultation of your case and the things that will be most beneficial for you. Contact our team today with any questions that you may have.